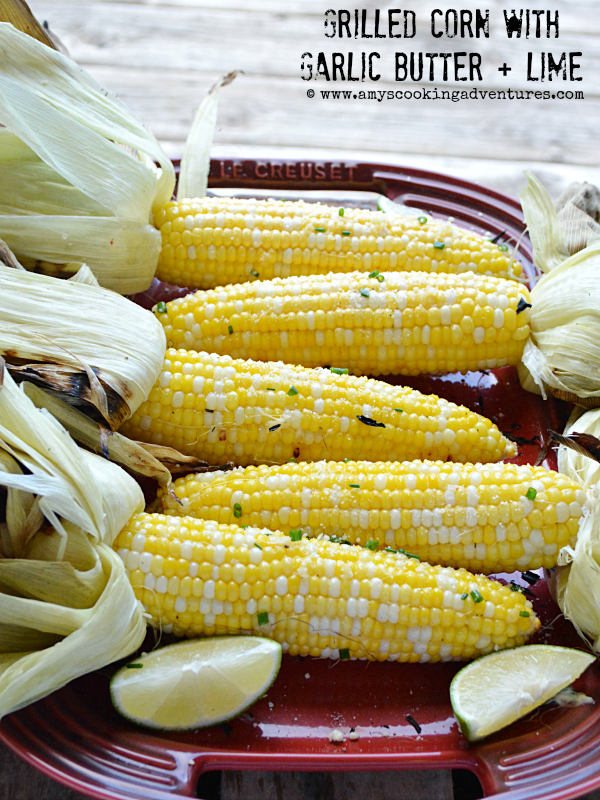 Corn is my favorite vegetable in summer! 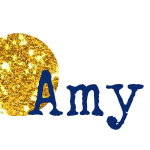 I chose to make this because I thought it would taste fabulous & it did! Peel back (but don’t remove) the corn husk. Remove and discard the silk, then place the husk back around the corn. Place the corn into a sink full of cold water and soak for 5-10 minutes. Lightly shake off the excess water. 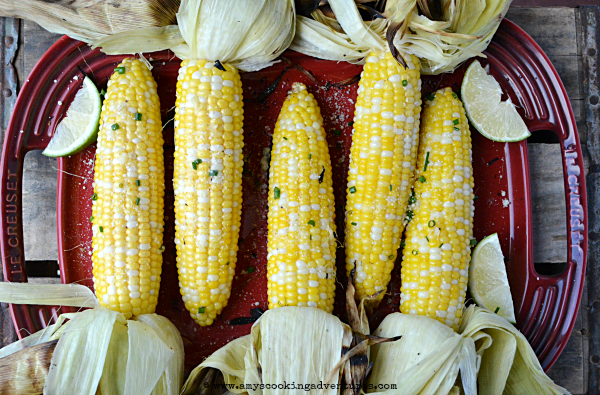 Place the corn (husks on) directly on the grill grates. Grill for 8 minutes, then turn the corn and grill for another 8-10 minutes or until the corn is done. 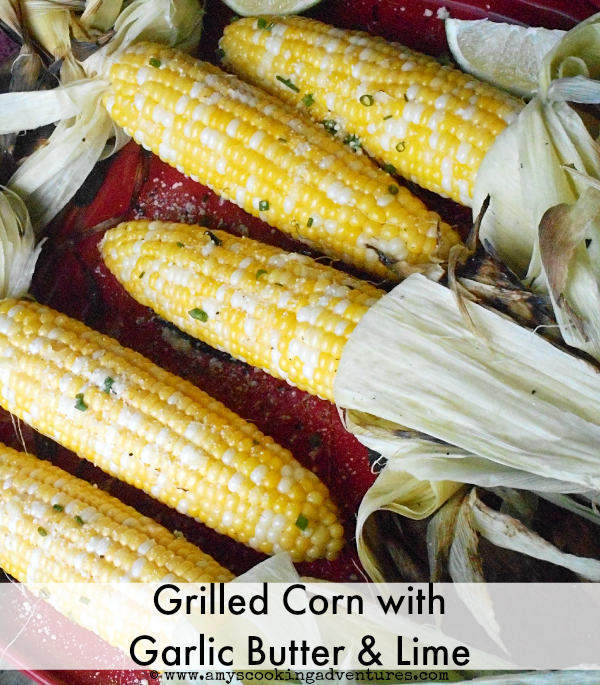 While the corn cooks, stir together all of the garlic butter ingredients and set aside. Peel back the husks and remove. Brush the corn with garlic butter. Follow with a generous squeeze of lime and a sprinkling of parmesan and chives. Serve hot.